1. Smashbox Cover Shot Eye Palette (in Ablaze) comes with a stunning set of ~desert sunset~-themed colors that let you create a warm gradient eye. I love eyeshadow but almost always skip over it to save time, but every so often I see a beauty blogger pull off a bold eye and I develop a heightened sense of confidence where I think I can also pull one off, like no big deal. But do I actually try to? 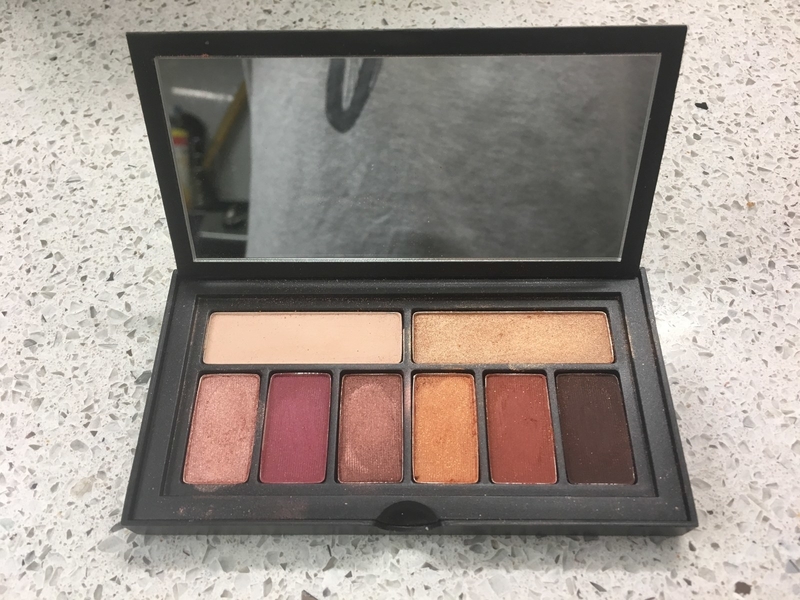 I hadn't really — until this Smashbox Cover Shot Palette caught my eye. The palette is super compact (which is great because my room is already a makeup-filled avalanche) and perfect for traveling. I also like knowing that l will *actually* hit pan on these colors and that they all complement each other and create a complete look, so you don't have to reach for other random eyeshadows. Get it from Sephora for $29 (available in seven color sets). 2. 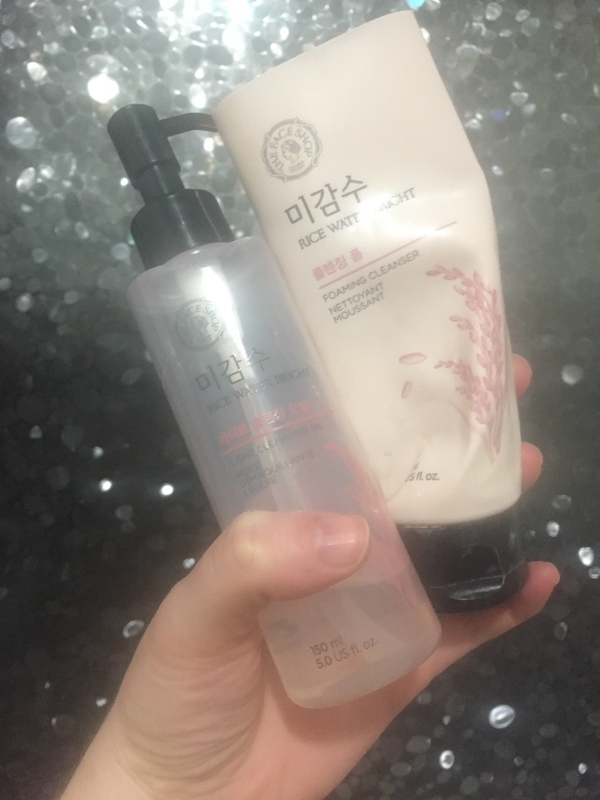 The Face Shop Rice Water Bright Cleansing Oil & Foam Set is a K-beauty cleansing duo that’ll leave (even oily!) skin feeling clean and supple. 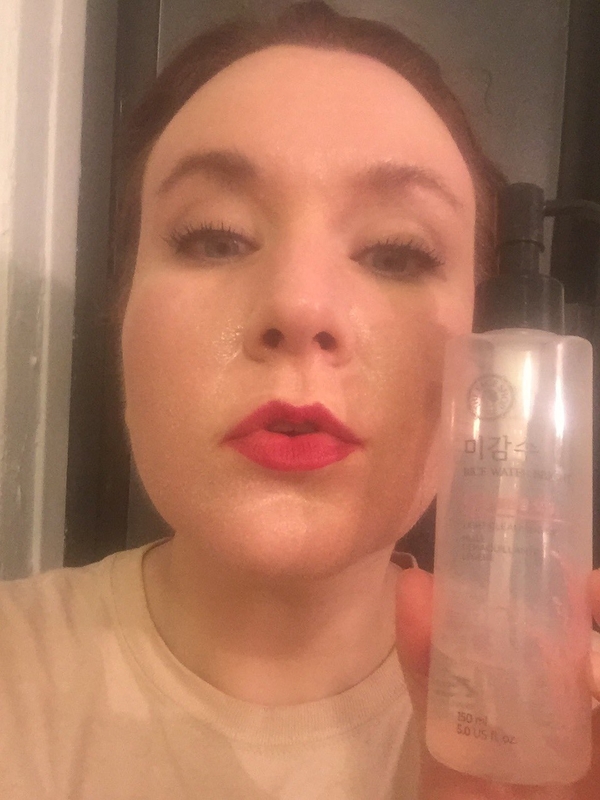 I’ve always struggled with oily skin — to the point where I swore off moisturizer during my teenage years, even at 15 when I was on Accutane for three months when I ignored my dermatologist’s warnings about dry skin. I had three whole months without having to use blotting sheets several times a day! At 17 I came to the light and realized that yes, you CAN and SHOULD wear moisturizer, even if you have oily AF skin. People noticed a *good* difference. 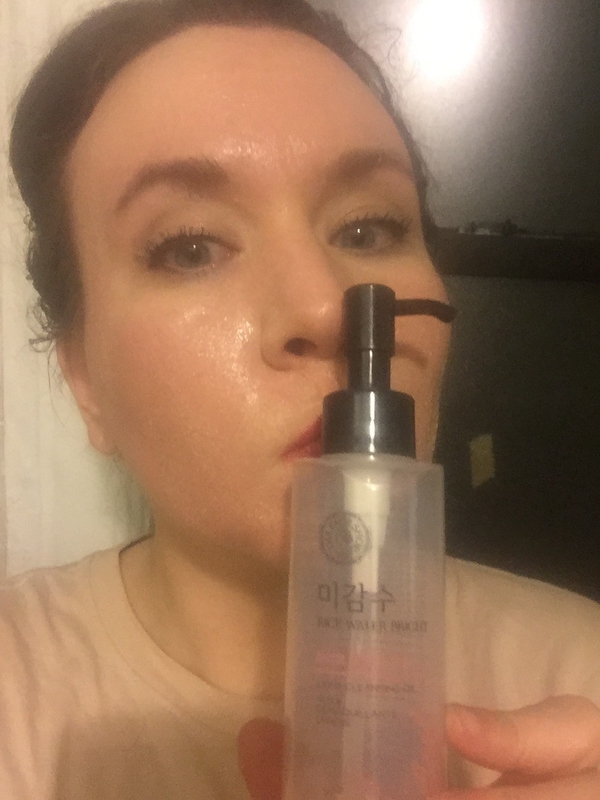 But even back in 2014 when a friend nabbed me Shu Uemura cleansing oil from the free table at the magazine she worked at, I was hesitant to try. But let me tell you, cleansing oil is GREAT. Even if you have oily skin! Since then I’ve used cleansing oil on and off to double-cleanse my skin. But I’m unfortunately not on a Shu Uemura budget in my life just yet. So during a deep dive on the K-Beauty Amazon page a few months ago, I came across this cleansing oil and foam set. With its 600+ customer reviews, I decided I'd give it a go, so I punched in my credit card info. Double-cleansing just sounds like it would strip your skin of everything good. But I swear, it’s great! With this, I’ll pump the oil into my hands and spread it on my *dry* face. Then I massage it in ’til it emulsifies a bit. That’s when I can really notice it going to work and removing my makeup (as you can see in the pic). I rinse and then go at it with the foam. Like, there is NO trace of makeup (except my eye makeup or long-wear lipstick, like I wore the day I took this pic). But my skin doesn’t feel TOO dry. Get the set from Amazon for $16.40. 3. Extreme summer heat is no match for MAC Pro Longwear Nourishing Waterproof Foundation — it will ~actually~ stay on for a whole day without needing a reapplication. So basically I’m paler than Casper the Friendly Ghost, which means finding a light foundation that doesn’t make me look like a mime can be a challenge. 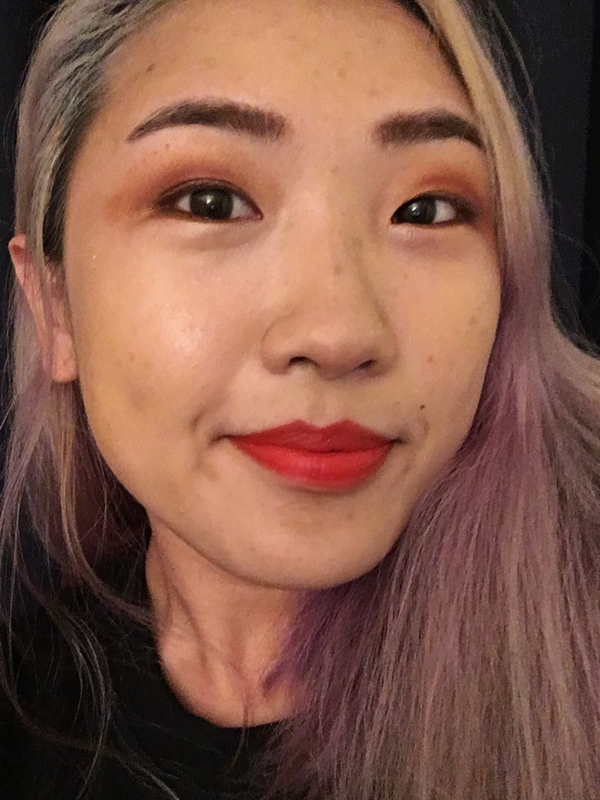 I’ve had success with a few MAC foundations in the past (Mineralize Foundation and Studio Fix Fluid Foundation), but after moving to New York City at the beginning of the summer, I knew I needed a foundation that was going to give me the coverage I wanted but wasn’t going to melt off my face when I wait underground for the F train to arrive. 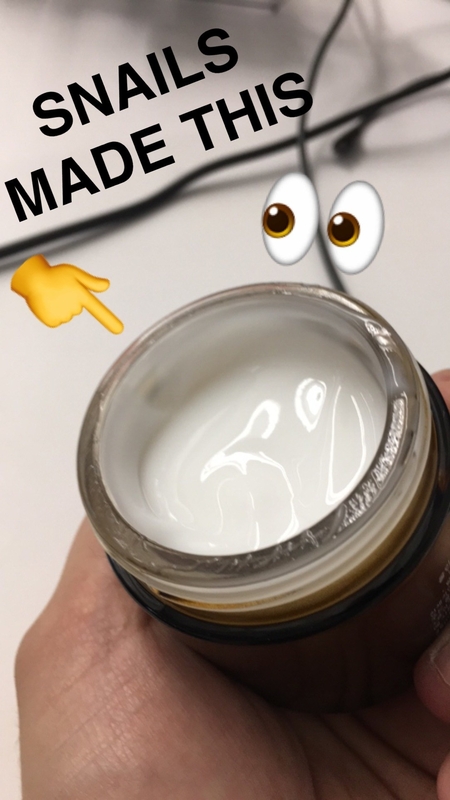 It was on one of the hottest days of the summer this year that I finally threw in the towel, stormed into MAC, and asked for a foundation that could handle the 96-degree weather. I was presented with MAC’s Pro Longwear Nourishing Waterproof Foundation in shade 15 (I told y’all I’m pale). While the texture is thicker than other foundations I’ve used in the past, they weren’t lying when they said it stays on for up to 24 hours. 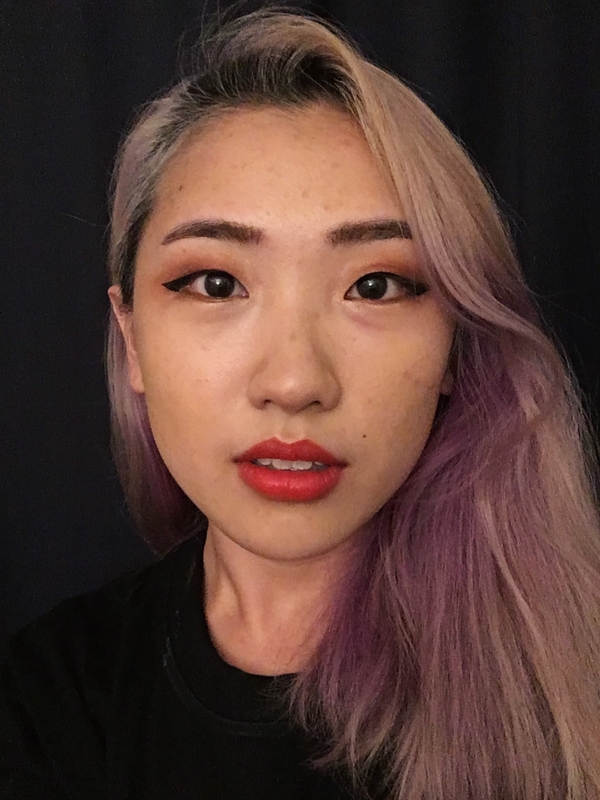 I have a terrible habit of touching my face throughout the day, and usually that means having to reapply foundation or at least powder, but I haven’t had that problem using Pro Longwear. Get it from MAC or Nordstrom for $34 (available in 24 shades). 4. 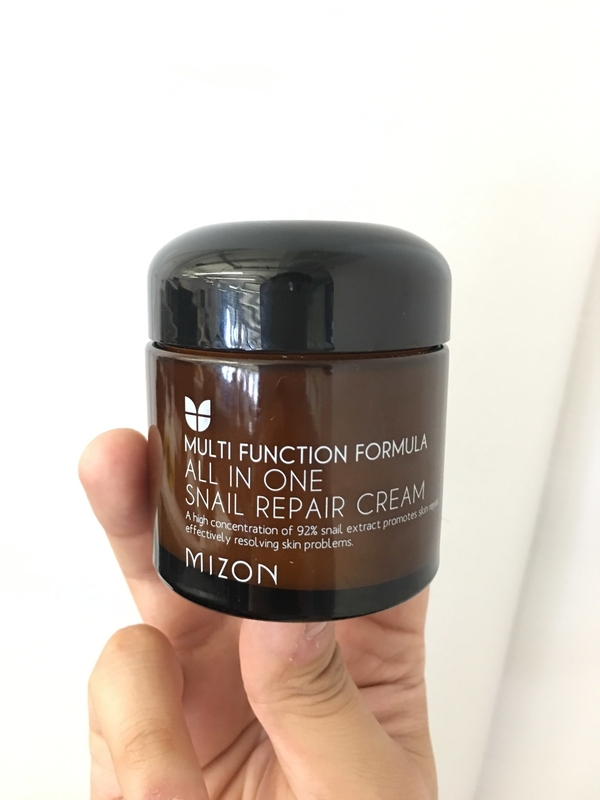 Mizon All-in-One Snail Repair Cream leaves your skin feeling bouncier and looking younger and more radiant than ever before (thank you, snail mucus extract). Have you ever just thought that maybe snails hold the secret to better skin? I don’t think the snails thought they did either, but here I am slathering this snail cream all over my face, and I’m feeling pretty good about it. I’ve been using the Mizon Snail Repair Cream for well over a year now and have gone through a few tubs. The packaging says that it's made with 92% snail mucus extract, which it claims will solve your skin concerns. Whether this is true or not, I couldn’t say ~for certain~ — but it’s been working like a dream for me. 5. Bumble & Bumble Don't Blow It Hair Styler gives you breezy curls that miraculously hold up against an entire day of humidity. 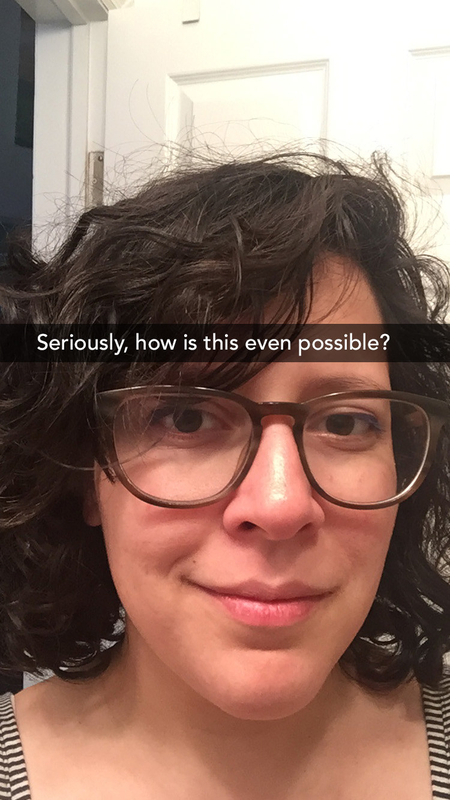 I have curly hair (somewhere between a 3A and a 3B) and for the past five or so years have really only used products specifically marketed for ~curls~. My go-to has been all things DevaCurl, especially the Styling Cream, which is good but sometimes makes my hair too...cookie-cutter curly. There are days that I wish I could just kind of have chill curls without feeling like someone who has long aged out of her Shirley Temple hair phase. 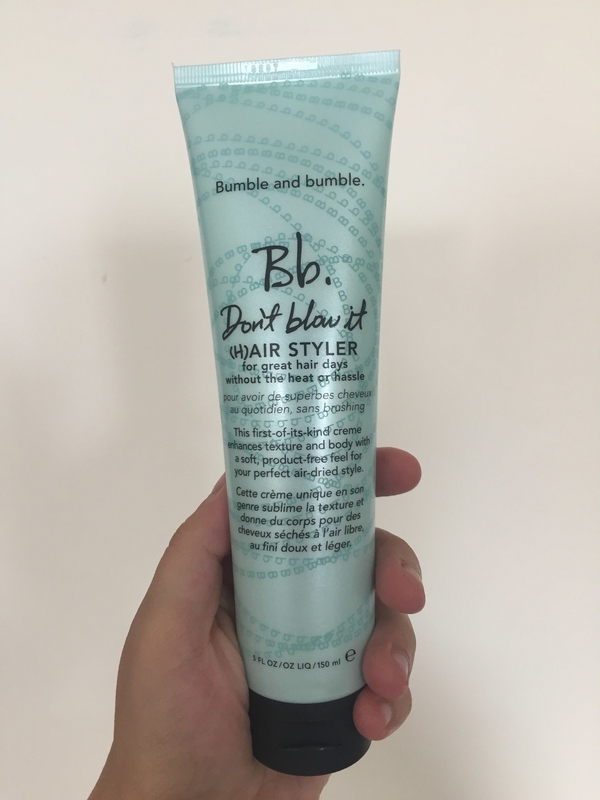 On a whim, I grabbed this Bumble & Bumble Don't Blow It Hair Styler. B&B has never jibed particularly well with my hair (RIP, the beach waves I will never have!) but I liked that this one is specifically marketed as a product to use without heat because I am not about to turn on a diffuser in July — or, let's be real, basically ever. Get it from Sephora for $16+ (also available for thick hair). 6. Milk Holographic Stick transforms you into a bona fide ~space princess~ with its breathtaking iridescent purple glow. A couple of weeks ago I bought Milk's Holographic Stick in Supernova. I was going to a pride party and wanted something to make my face pop, so I decided to shell out money to complete the look I wanted; little did I know it would change my life. It comes in this cool, futuristic, two-part case, and honestly when it comes to makeup, packaging is everything. You first have to take it out of a caplike case, and from there, you can actually access your highlighter by twisting it up to the surface. It seems like a whole lot of work, but it's totally worth it. 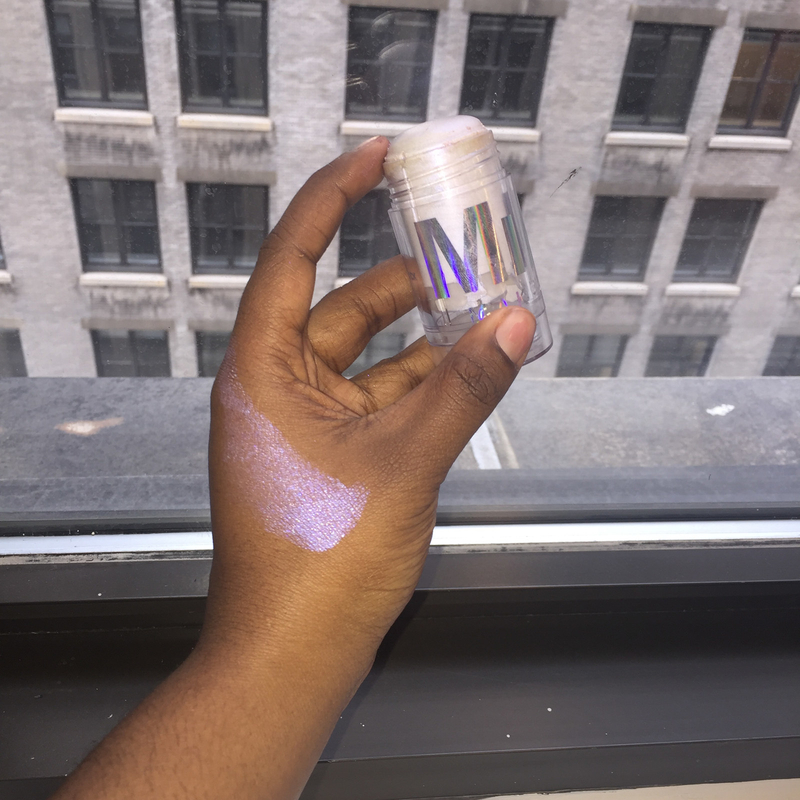 Once you open the highlighter you can see that the color is super pigmented, so you need only a little bit to show up on your face, and since I'm very, very brown, it was an honest delight to know that I won't be running out of it anytime soon. 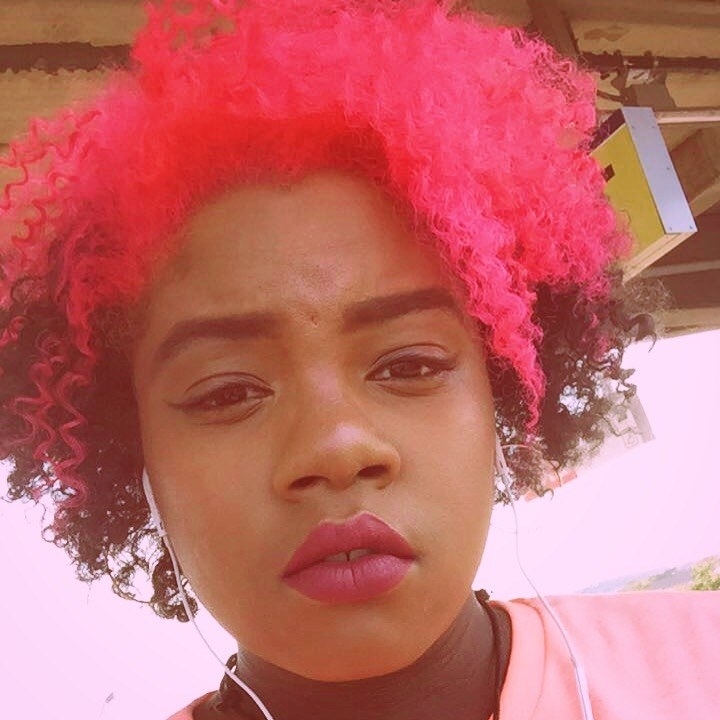 With other highlighters that I've used, they either don't exactly match my skin tone or they aren't as bold as I would like them to be, which is absolutely BORING. Why have highlighters that won't, I don't know, HIGHLIGHT your face? With the Holographic Stick I can use my fingers to apply it onto my face and I'll automatically see the difference. I usually use it on my cheekbones, the middle of my nose, and right above my brow. If I'm feeling extra, I'll also put it on my Cupid's bow! Get it from Sephora for $28 (available in Supernova and Mars). 7. NYX Super Cliquey Matte Lipstick comes in a fun clicky tube and teardrop shape that's perfect for anyone who struggles with applying it juuust right. I love lipstick, but hate putting it on. I always struggle to line my lips properly and the whole thing becomes such a hassle that I’ve just stopped wearing it altogether. (Tinted ChapStick and subtle lip creams, FTW.) But if you’re a poor soul like me, I think I have some great news in the form of an easy-to-use lipstick! 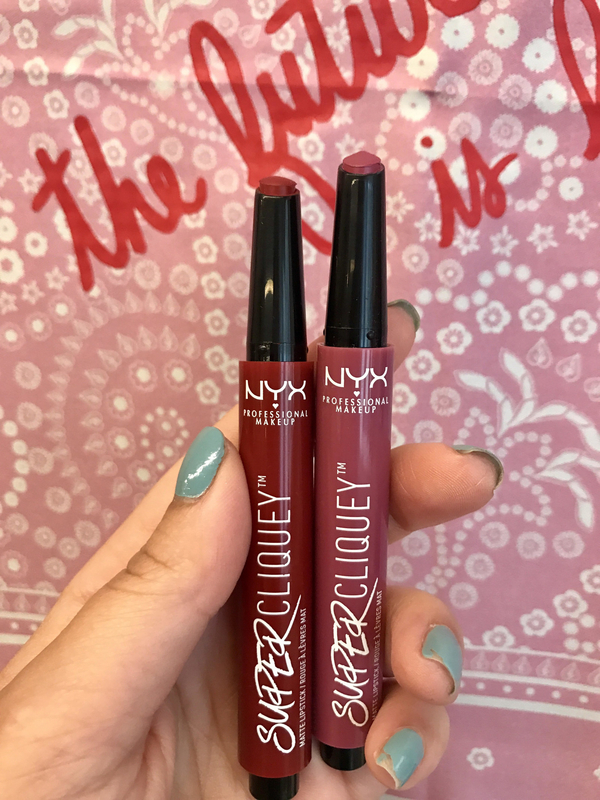 The just-released NYX Super Cliquey Matte Lipstick looks like one of the clickable gel pens your middle school self lusted after. Instead of twisting the tube to get more product, you just have to…click. Which is actually really fun. Plus, the applicator has a V shape that makes it about 1,000 times easier to outline your Cupid’s bow and keep all color inside the lines. But enough about the awesome packaging, because the lipstick itself is friggin’ great! 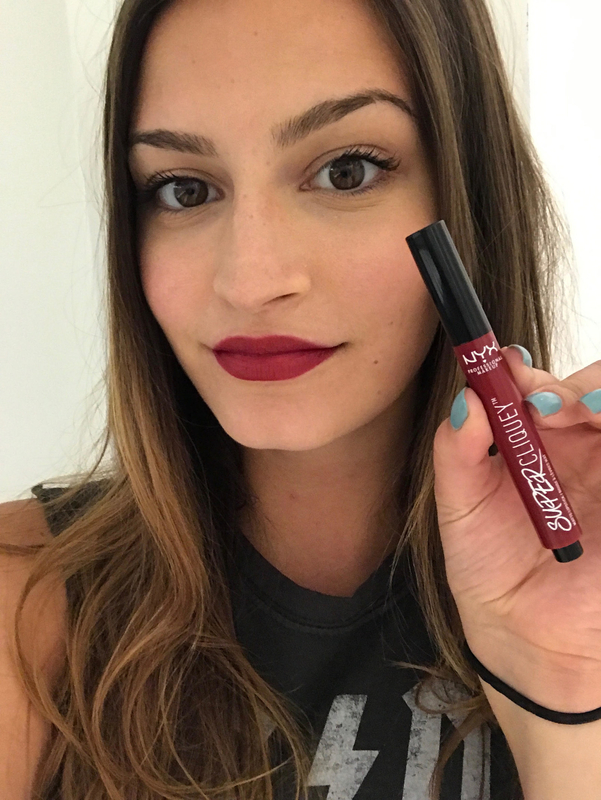 It has a satin-matte finish that isn’t overly drying, and it doesn’t produce the whole “wrinkle lip” effect that other matte products on the market do. Get it from Ulta for $8.99 (available in 12 shades). Beauty craving not satisfied yet? No problem, cause you can check out all of our previous roundups here!